Green City Heating and Air has earned a reputation as Seattle’s best heating and air conditioning contractor, including expertise in installing and servicing tankless water heaters. Customers trust Green City for all their heating and cooling needs because we will carefully assess your heating and cooling requirements, patiently educate you about your new or existing system, and help you choose an option that fits your overall budget. We not only ensure optimal comfort and energy efficiency, but we stand behind our work by providing an extended five-year warranty on materials and labor. We are licensed, bonded, and insured for $1M in general liability, and our technicians are certified with the Contractor Alliance Network through Puget Sound Energy. So you can rest assured! We are proud to serve both King and Pierce counties. Our customer-centric sales team has a mandate to provide a buying experience second to none. 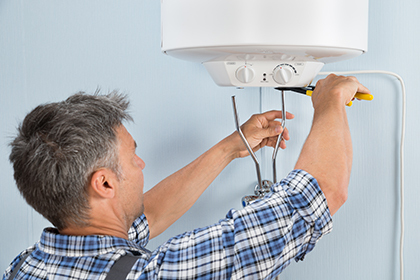 Our experts will ensure that your heating or cooling system is comfortable, reliable, low maintenance, and highly efficient. Green City is great! From start to finish the experience was so worry free. The lovely gal in the office had a bid scheduled the next day. The salesman was fantastic, came out for the bid and found the right equipment and plan to get us all back up and running. The install crew was polite and neat. Before they left they even explained the settings on the thermostat. Overall the best!